Before we begin, I want to give a huge thank you to my sweet friend, Doreen at HouseHoneys for nominating me for the Illuminating Blogger Award. I am so honored to receive this award! It's time for those weekly features. I love hosting the linky party, but the hardest part is choosing from all the great projects! Please feel free to grab a button if you were featured! 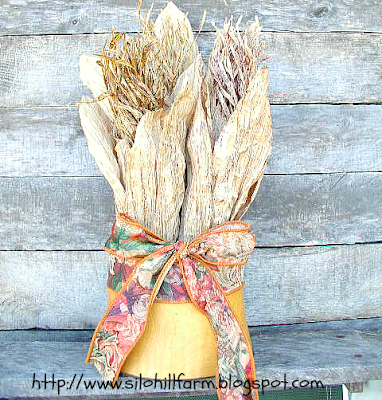 Danni at Silo Hill Farm shared a great tutorial on how to make these adorable faux fall corn ears! So perfect for your fall decor. I can't wait to make some of these. 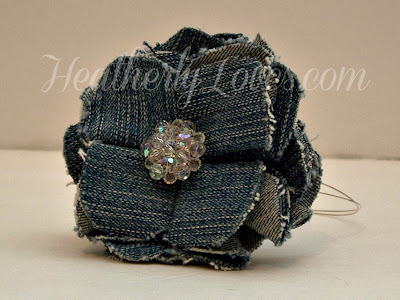 Heather at Heatherly Loves shows us how to turn an old pair of jeans into this adorable denim flower. She has a great tutorial. Bella at ArtClubBlog shared how to use acrylic mediums to decorate those fall pumpkins. She has an awesome tutorial, and I can't wait to try this. It looks so fun. Cathy at My 1929 Charmer shared her fabulous fall decor! If you have never visited her blog, you need to head over there and check out her awesome blog! Heidi at One Creative Mommy made this adorable paper candy corn bunting! She shares step-by-step directions to create one for your home. Cindy from Cloches and Lavender shared her beautiful fall mantel. I love her new iron/wooden additions to her mantel. Claire at The Rustic Pig made this cute holder for her pillows from an old drawer! So creative. 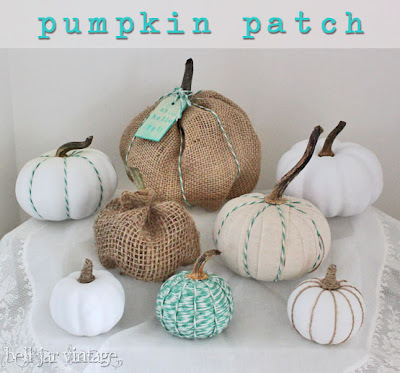 Dori at Bell Jar Vintage created this unique pumpkin patch using different fabrics and materials! Such pretty colors. Brandy at Grey Lane Home has a fabulously decorated fall porch, and do not miss a tour of her beautiful home! Her laundry room is a must see. JoAnn from Sweet Pepper Rose shared her absolutely gorgeous fall wreath on a plate! Oh, so pretty. Super features this week. Some of them I didn't see last week so I'm off to visit the sites today. I'm loving some of these features...going to have to visit and check them out...I'm hoping to be able to post some of my fall decor soon...I feel behind the eight ball :)...congrats on the award!!! What great projects you had from your party Kathy. I am definitely trying those pumpkins with the paint medium. Thank you! Aren't those pumpkins great? The ideas are endless with that. Thank you so much for stopping by! Thank you for featuring my Fall Faux Corn Ears! I'm honored! I'm off to check out some of the other fabulous features! Hi Kathy!! Thank you so much for featuring my Antique Drawer Redo! I'm beyond excited!!! :) Hugs!! Hey Kathy. I want to just hug you right now. Thanks so much for the feature. I am so thrilled you liked my project. Thank you so much for featuring my little pumpkins! Thank you so, so much for featuring my pumpkins! It's always great to know that others might be inspired to make them. Thanks for hosting! Oh, you are so welcome! I love your beautiful home and decor. Thank you so much for sharing. Have a wonderful week. 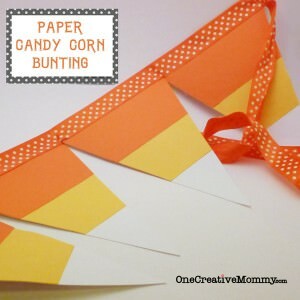 Thank you so much for featuring my candy corn pennants! I'm excited to be among so many great projects. You made my day. I'm sending a shout-out for your party on facebook.